Winner/Colome baseball team picked up wins over Hot Springs and Gregory. 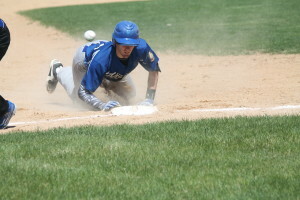 The Royals hosted Hot Springs Saturday and won the game 15-0. Winner/Colome scored 8 runs in the second inning and added four runs in the third inning. Nick Lantz earned the win on the mound pitching three innings with 7 strikeouts. Dalton Baker pitched the last inning and had 2 strikeouts. Winner/Colome played in Gregory on Thursday. The Royals won the game 14-0. Winner/Colome had a big inning in the third and sixth inning when they scored five and six runs respectively. Carter Brickman started on the mound and pitched four innings. Riley Calhoon pitched 2 innings in relief with 4 strikeouts. At the plate, Brickman had a double, single and scored three runs; Phillip Jorgensen had 2 singles and an RBI; Riley Calhoon had 2 singles, 2 runs scored and an RBI and Levi McClanahan and Drew DeMers each had a single and two RBIs.